Not only was Feather River Door featured on MoneyPit's Green Product Guide, it also made an appearance in their video on saving energy and adding appeal. Watch the video below or you can watch on our YouTube channel. 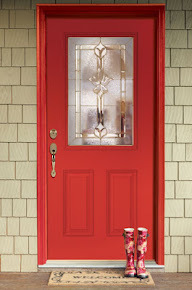 The entry door seen in video is the 6 Lite Craftsman Exterior Door in Chestnut Mahogany, which can be found at The Home Depot. 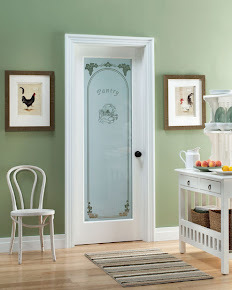 Feather River's fiberglass entry door is featured in 2013 Green Product Guide on MoneyPit.com. "Is your current entryway a constant letdown - lets heat escape during the winter and cold during the summer, requires continuing maintenance, and adds no beauty to your home? 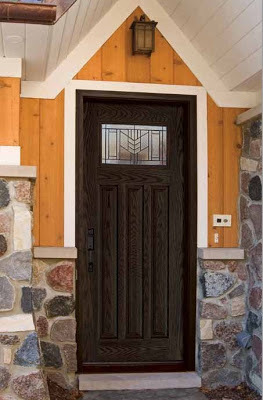 Installing a low-maintenance, Energy Star-qualified fiberglass entry door from Feather River will add instant curb appeal to your home along with money-saving energy efficiency. These doors offer the look of wood with the low-maintenance benefits of fiberglass, which means no rusting, rotting, cracking or denting. They are also up to five times more energy-efficient than a wood door.Feather River fiberglass doors are backed by a limited lifetime warranty with a two-year finish warranty, and available at the Home Depot."